What a joy to spend some face-to-face and heart-to-heart time with the lovely Jolene Underwood at the Declare Conference. 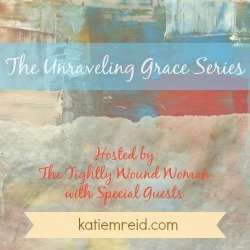 Jolene guest posted for the Open Hearts series (one year ago yesterday) and I am honored to have her back to share more of her heart as we find grace in the unraveling. 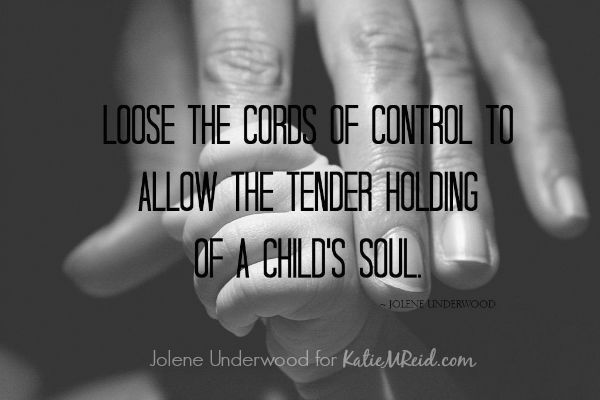 Jolene Underwood passionately pursues a life filled with grace & freedom. She writes about real life in need of real faith by inspiring an authentic pursuit of hope beyond the challenges of life. She is a lifter of heads and a facilitator of encouragement. 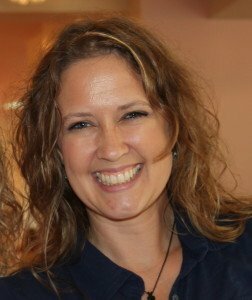 Her card writing ministry, as well as her Rise Up Writers newsletter & community, are both outpourings of her heart to encourage others in the places where God calls them. When she’s not writing at her blog, for Rise Up Writers , or as a contributor for the Grace Table, you’ll find her enjoying time with friends, musing in the kitchen, or obsessing over colored glass & mason jars. Join her conversations of encouragement & faith via Twitter/Instagram/Pinterest as @faith_eyes. When a child is put into your arms for the very first time, a whole new world opens up. One with more questions than answers. No matter how much one’s head fills with knowledge, an untrained heart begins this shaky, life-long journey of unknowns. What do I do now? Who are you? Do you really belong to me? Oh, my word. All this responsibility. How can I be so afraid and so unsure? God help me. A whole person’s well-being happens under your watch. Diaper changing, toilet training and teaching them how to cross the street safely is one thing. But, caring for a God-given heart? Preparing someone to grow into their destiny? When there are limited answers to hold onto, fear-filled fists clench tightly. Like a blanket tucked in tight, self-proclaimed expectations suffocate. Add attempts to control the outcomes of an unmanageable life which is not your own, and oh, do you wonder if you’ll ever breathe freely again? We bark orders. We make commands. We say, “do this. “Don’t do that.” Because when they are small they don’t know. But somehow, they grow up and we forget to loosen the cords. We forget these reins were given with the intent to lead, not whip. At least, I have. I’ve barked out expectations to do my every bidding. Years of you’re-not-doing-it-my-way added levels of frustration which came out in ripened spews of anger. I thought I had control. I thought these wild, untamed beings were mine to manage. I thought it was up to me. For years I prayed over my mom anger. I hated it. I despised reading about the success of women who spoke of having a meek and gentle spirit Because, really, you never yelled at your kids one time in the last decade? I knew I couldn’t continue the pattern I’d lived for so long. Especially if we were ever to foster or adopt. I kept asking God to take it away and he wasn’t. One day, in desperation, I gave a huge mental heave-ho while praying for God’s outstretched arm to remove anger far from me. My heart began to soften. I became less agitated by the little things. My hands loosened their grip. Then God flipped my world upside down. He told us to move to a ranch owned by a foster agency & take care of up to twelve children at a time. Children came in groups, or they came alone. But they came into our care. Hanging on to anger wasn’t an option anymore. All I could do was tend to theirs. Trauma, lack of discipline, and sheer numbers made our home far too familiar with chaos and uncertainty. Court systems and case workers held futures, while we held the weight of caring for souls. We couldn’t know the depth of their pain. We wouldn’t know if attempts to bring order out of chaos would hurt or heal. I had no control and neither did they. All these years of raising children and it suddenly became so clear. What weight I’ve held onto thinking it was mine to carry. I saw it now. No matter how many commands are given, in the end their future is not in my hands. Never was. Clinging tightly has only cramped my heart and theirs. I couldn’t make it better, but I could help these children know God would hear their cries and their pleas. It wasn’t up to me. It never was. Surrendered fists lay bare when there’s nothing left to grasp, and God’s grace lies softly within.